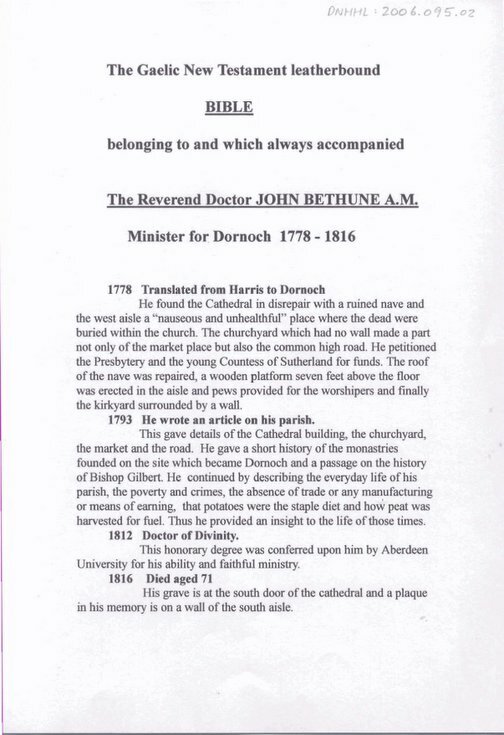 Two page account of the life of John Bethune, written by Malcolm MacGillivray, providing an account of the history of John Bethune's bible and incorporating a colour photograph of his memorial plaque. Accompanying monochrome photocopy of a photograph of John Bethune. The original is painted on an ivory tusk and is located in Benbecula.